The landscape of Lesvos has experienced significant changes in the recent past, mainly as a result of changing in social and economic values. Wood-pastures are converting into woodlands, olives groves are abandoned especially in mountainous areas, and traditional land management techniques are being replaced by recreational activities. The rich cultural and ecological potential of the hills of Lesvos is gradually declining. 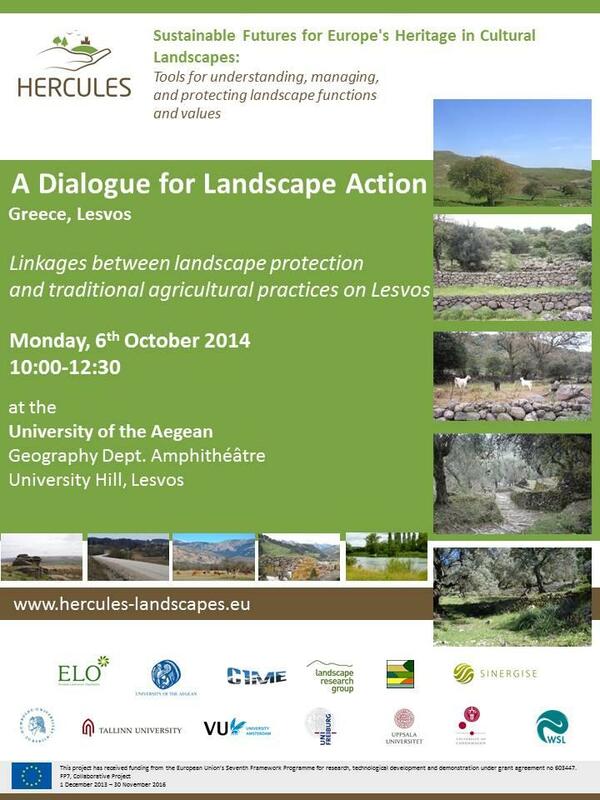 To discuss on how to safeguard the cultural landscapes of the island the Geography Department of the University of the Aegean, led by Thanasis Kizos, hosted a workshop entitled "Linkages between landscape protection and traditional agricultural practices on Lesvos" on the 6th of October. The workshop gathered a wide range of stakeholders for a successful debate on traditional agricultural practices in the region and their benefits for landscape preservation. The organizer’s objective was to collect local opinions on what the main threats to the olive groves of Lesvos are and to list the most important issues that need to be addressed in the near future.